The Priors Players are offering this selection of poetry and prose in commemoration of the First World War. The Priors Players enlisted the help of a large number of the people of the Bourne Valley to put on their most ambitious project yet on Saturday night. Risking the weather, they staked weeks of effort on a one-night open-air presentation of a pageant of Tudor life and a moonlight masque. Springhill gardens were kindly loaned for the event by Mr. and Mrs. William Reynolds — and provided the perfect setting. The gardens are on three levels, providing a split-level stage and a raised sloping auditorium, and have lovely trees, the River Bourne and a large ornamental fountain to include in the scenery. William Reynolds and Alan Perry-Keane had enhanced the garden’s beauty with other scenic effects, including a “stone” bridge over the river. The producers, Diane Evans and Alan Perry-Keene, rose to the challenge of scale which open-air productions present, and fully availed themselves of the extra scope provided by the move from the restricting confines of an indoor stage. The masque was made up of scenes from “A Midsummer Night’s Dream,” and was intended as the Priors Players’ contribution to the Shakespeare Quartercentenary celebrations. The players took the scenes involving the subplots of Oberon’s quarrel with Titania, and the Mechanicals’ play. Thus abridged the play retains a coherent and pleasing plot. 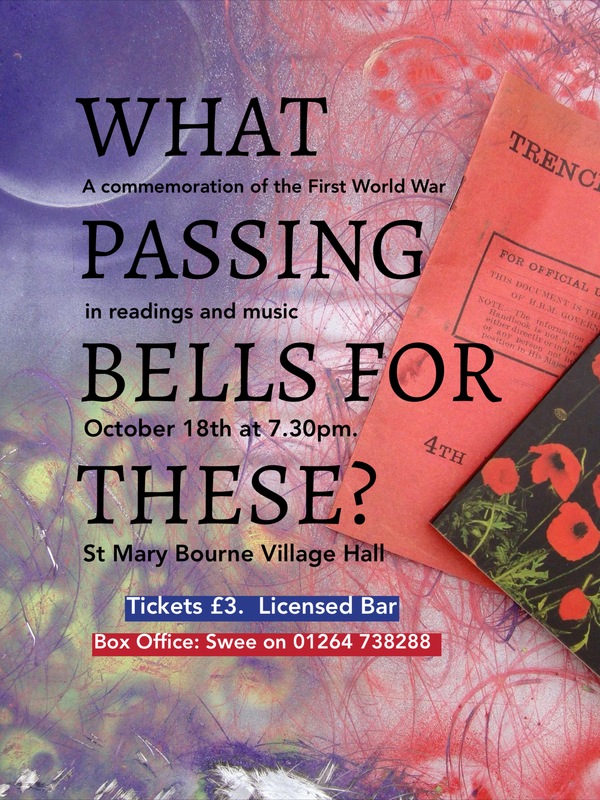 ‘What passing bells for these?’ is of course part of the first line of Wilfred Owen’s Anthem for Doomed Youth.